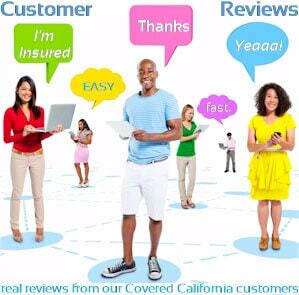 The first payment is required to activate your policy with Covered California. Once enrolled, we generally have 15 days to submit the payment or the policy will cancel out. You'll receive a letter from Covered Ca with the deadline but here's the deal. It gets so busy during Open Enrollment, that we see many people miss this window. They don't realize how quickly the payment has to be turned around. You name it...we see these policies lapse. Important: If you need to pay the Covered Ca payment but we're not the agent, you can quickly designate us as agent here. It takes 2 minutes and then we can help with any assistance going forward. 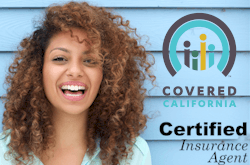 There's no cost for our assistance as Certified Covered California agents! We'll process the payment within 24 hours typically during business hours. Sometimes even outside of business hours! You'll get a confirmation from the carrier of payment and we're all set. Click on PayMaster secured form above or here. The entire process takes 2-3 minutes and can be done from a desktop, laptop, or smart phone! You'll get an emailed confirmation immediately from the carrier. If you selected "ongoing payment", this monthly amount will continue to draw monthly until you change the billing type. We recommend to register your online account with the carrier after the policy is active. This can take from 48 hours (Anthem and Kaiser) to 5-7 days (Blue Shield). Once active in the system, Google "carrier register online account". For example, "Anthem Blue Cross register online account"
This will take you right to the registration page. It takes a minute to register. If you have a tax credit, that amount is automatically taken out of the monthly premium. You will pay the net amount. When we enroll you, we send a confirmation of the premium by email. That's the amount that will be drawn for the 1st month to activate your Covered Ca policy. There is no application fee or fee for our service. The amount drawn is only for the 1st month's premium minus any tax credit applied. If dental is selected, there will be a separate draw to the same credit card info submitted for the dental. This will be for the 1st month's dental premium. The payer does not need to the enrollee. In fact, many times, we have parents pay for kids and sometimes even parents! Obviously, the person submitting the form needs to give consent to debit the credit card for the 1st month's premium. The person paying can be different than the person being insured. You can change this credit card information later through your online account or with the carrier directly. What if I want to cancel my Covered Ca policy never effective? If we have not paid the 1st month's premium, no problem. We can cancel the policy. In fact, non-payment will cancel it eventually when we use up the 15 day window. There's no impact on credit since health insurance is a pre-pay policy. However, what if we paid the premium already? If the policy still shows "pending" in the system, we can still cancel. You need to notify us right away. Remember from above that there's a lag time from when we submit payment till the carrier activates the policy (48 hours to 7 days depending on carrier). If we're still in that window, it will show "pending" in the system. We can still cancel never effective. Once that status changes to "in force", we probably can't cancel. The only times we've been able to cancel with "in force" is if we're still before the effective date. For example, if we enroll on June 1st for a July 1st eff date; pay on June 10th and then request cancellation before July 1st. Don't hang your hat on that however. We want to submit the request to cancel while showing "pending" in the system! When submitting the first payment, most carriers offer the ability to use the submitted payment info for ongoing monthly payments. You can change it later but here's the deal. Either way, once the policy lapses due to non-payment, we may be out of luck until next Open Enrollment. It's a bad place to be and we 100's of clients fall into this boat. Choose the re-occuring payment option on the PayMaster form to prevent this situation. You can always change your billing type through the online carrier account or direct with the carrier. We've tried to take the confusion out of dealing with Covered Ca. 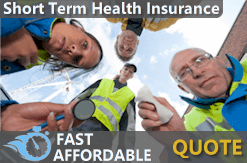 One quick form and we can activate your policy for you. It's just one way we want to be your advocate navigating the new Marketplace. Access the PayMaster secured form here or email us with any questions! Never send payment information via email! Use the secured form for that!